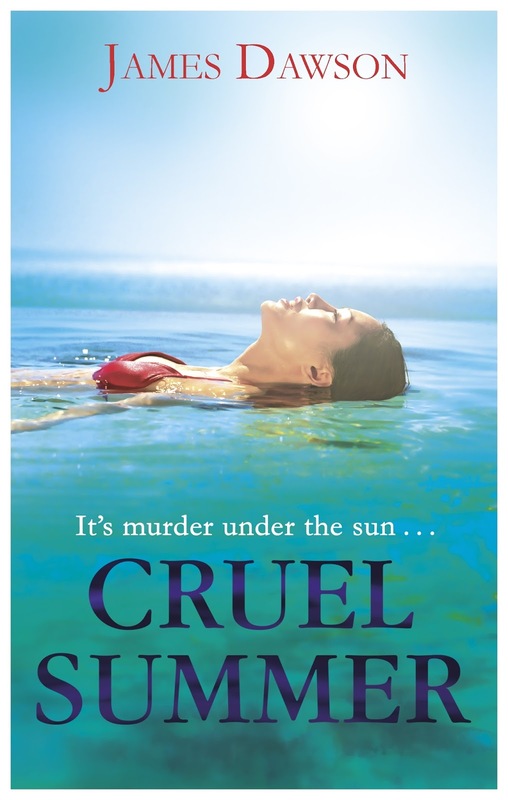 For today, I have the first chapter of Cruel Summer, one of my most highly anticipated reads of the year. Do have a read below and let us know what you think in comments. Has it whetted your appetite for more?! The first line is a voice-over. Opening shot: Pan from endless, star-spattered sky to a linear and deserted stretch of road in the middle of the Spanish countryside. You can tell it’s Spain because of the arid landscape, chatter of crickets and accompanying overture of * amenco guitars. The vista is barren; almost alien. It’s late at night. Slivers of wispy cloud trail over a jaundiced, sickly moon. Zoom in on a lonely silver rental car. It’s caked in thick orange dust as it pelts along the asphalt. The headlights, even on high beam, only managed to cast a feeble pool of light along the abandoned highway. The road was rod straight – to Ryan, this really was the road to nowhere. He suddenly felt a long way from home. RYAN HAYWARD RETURNS FOR A FEATURE-LENGTH HOLIDAY SPECIAL. Ryan often imagined his life as a long-running TV show in which he was the star. The high-school series had come to an end with Janey’s death and the last year had been his solo spin-off: Ryan: The Drama School Years or possibly Ryan: Acting Up. This holiday was supposed to be a ‘summer special’ – a ratings-winning reunion of the original cast: Ryan: One Year On. It was pretty sick, but what had happened to Janey had made quite the series finale. He knew it was wrong, but thinking of it all as a TV show, with himself and his friends as famous actors, made it somehow easier. Janey wasn’t dead, she was just some actress whose contract was up. ‘What do you mean?’ His companion, Katie, was a pretty redhead with alabaster skin, almost luminous in the dark. Katie grabbed a sweet too. ‘Must we talk about Janey? Maybe we could pick a more cheerful subject, like vivisection or famine or something?’ she quipped. She focused on the road ahead, gripping the wheel a little tighter. When someone young and beautiful dies, a shroud falls over a community. The sun stopped shining on Telscombe Cliffs when Janey Bradshaw vanished. It felt as though there were a blanket ban on laughter and no one was allowed to say her name except in reverence. You certainly weren’t allowed to ask questions. Ryan had questions. ‘Ryan, knock it off!’ Katie interrupted. Her almond-shaped eyes were wide, blue and sweet. She’d grown up this year – like all of them. She looked tired and thin, even a little gaunt. That was the ‘story arc’ this year – the aftermath. Katie Grant was Ryan’s high-school best friend and, quite literally, the ‘girl-next-door’. She was the first person he’d told that he was gay. She was pretty, but relatable; she was clever, but never aloof; she was deep, but not tortured. Or perhaps he was overthinking it slightly. In Ryan’s head, she was second in the credits after himself. Ryan laughed. ‘So not a good look. Maybe you’re right.’ He wanted the reunion to be a touching, heartfelt comedy, but since they’d left the hypermarket at the airport he’d had an odd displaced feeling – a sense of being lost. The bright lights of Madrid were far, far behind and Katie seemed to be driving them into oblivion. ‘Oh, God, I do too!’ Katie conceded. She tucked an escaped auburn curl behind her ear. ‘For your poor mum? Gosh they were terrible!’ The car passed through what looked like orange groves. The crickets were out in full force – a cacophony. It took Ryan a moment to realise the shadowy triangles darting among the trees were bats, not birds. Ryan took his feet down and steadied himself on the dashboard. ‘I promise, Lana.’ He leaned over and gave her a peck on the cheek. He’d missed her too, but things were different now. There was a question mark looming large over last summer. Loose plot ends that needed tying up. Viewers had been waiting on tenterhooks for a whole year. In TV you can’t leave loose ends; everything has to be resolved or you end up with a mess like Lost. What really happened to Janey Bradshaw? Ryan had to confess that, although he’d been dying to catch up with the gang, part of the reason he’d agreed to the holiday had been to try to clear up the niggles he felt over Janey’s death. He just wanted some answers. Ryan didn’t believe for a second that Janey Bradshaw had killed herself. What DID happen to Janey Bradshaw?! Cruel Summer by James Dawson is available now, and don't forget to visit the other stops on the #murderonthebeach blog tour!